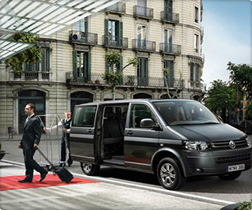 TRAVEL IN COMFORT: Air Conditioned Van, Start Your Trip The Right way. AVOID TAXI PROBLEMS: Drivers Can Be Rude, Cost Can Rise in Traffic. AVOID CARRYING LUGGAGE: Halls and Stairs of Train System are Tough! QUALITY: Private Van Is a Faster & More Comfortable Option. NO STOPS: Direct Transfer to Your Hotel/Apartment. PRIVATE TRANSFER: You Will Ride Alone, Driver Will Not Take Other Passengers. GUARANTEED PRICE: Fixed Rate Regardless of Traffic Conditions. VIP: Driver Will Wait For You With Your Name on A Sign. AIRPORTS SERVED: CHARLES DE GAULLE (CDG) & ORLY (ORY). ** ORLY & CDG AIRPORTS ONLY ** PLEASE CHOOSE CORRECT AIRPORT BELOW.